On Sunday, the chairman of the US Joint Chiefs of Staff, Joseph Dunford, said that Turkey's upcoming purchase of the S-400 air defense system from Russia could be a cause for concern in Washington. Russian military analyst Igor Korotchenko explained why the deal causes concerns of the US. "Turkey has not completed a deal with Russia yet. If they would, it would be concerning," Dunford said in an interview with the NBC TV station at the annual Aspen Security Forum in Colorado. On Monday, President Recep Tayyip Erdogan responded to the remark. "Why should this be a concern? Each country should take certain measures to ensure its security. Which side can ensure these measures, there the steps are taken. How many times have we talked with America, but it did not work out, so like it or not, we began to make plans about the S-400. Our interested departments are negotiating and this step will be taken," Erdogan told reporters at the Ankara Esenboga airport. The president added that negotiations on the missile system have "largely" been completed. Russian military analyst Igor Korotchenko, editor-in-chief of National Defense, a Russian military affairs magazine, explained to Sputnik Radio why the deal causes particular concerns the US. 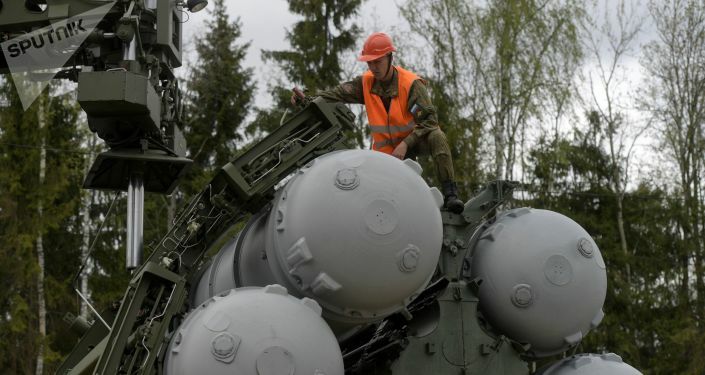 "If anyone is showing concern over this issue, those are, first of all, American military-industrial companies, who are losing the competition to Russia's Almaz-Antey conglomerate, the developer and manufacturer of the S-400 missile defense systems," he told Sputnik. Korotchenko further reminded that the US analogue of this system is the Patriot PAC-3. And the competitive advantage of Russia's S-400 has a very strong multiplicative effect. The very fact that Turkey, a NATO member state, prefers the Russian system for its air and missile defense, means that Russia surpasses the US in terms of its technologies and developments in this sphere. Turkey is choosing the best on the international market, he told Sputnik. The military analyst further noted that not every NATO member state can afford to ignore the US's point of view. In this particular case Recep Tayyip Erdogan makes an absolutely sovereign decision in choosing the system that will safeguard Turkey. Igor Korotchenko also commented on earlier comments of the US Secretary of Defense James Mattis, who said that the purchase of the Russian systems is a "sovereign decision" made by Ankara, expressed doubts about their compatibility with the air defense systems of NATO countries. "The chief of the Pentagon was commenting as a politician, however it does not mean that the US is welcoming the deal. Of course not – it is hitting the geopolitical and financial interests of the US," he said. With regards to the remarks made by the US Joint Chiefs of Staff, the political analyst said that those people are not used to "bothering with any politesse." They are openly saying that they don't like a Russian S-400 system passing into service with a NATO member state because this is an indication of Russia's competitive advantage. The military analyst also contended that once in the hands of a NATO member state, this system could be used against Russia, and explained why there are no grounds for such concerns. "First of all, Russia is selling an export version of the S-400, with an approved export certificate. Secondly, Turkey, as a purchaser, provides an end-user certificate, a so-called end-user declaration. This means that Turkey makes a commitment that these systems won't be re-exported or passed on to any other states. 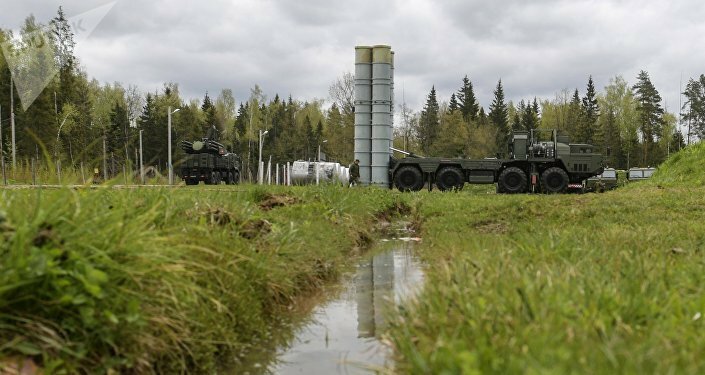 And finally, it is important to understand, that Russia's new S-500 system, which goes solely to the Russian Armed Forces, by far surpasses the S-400 by the level of its intelligence," he concluded.